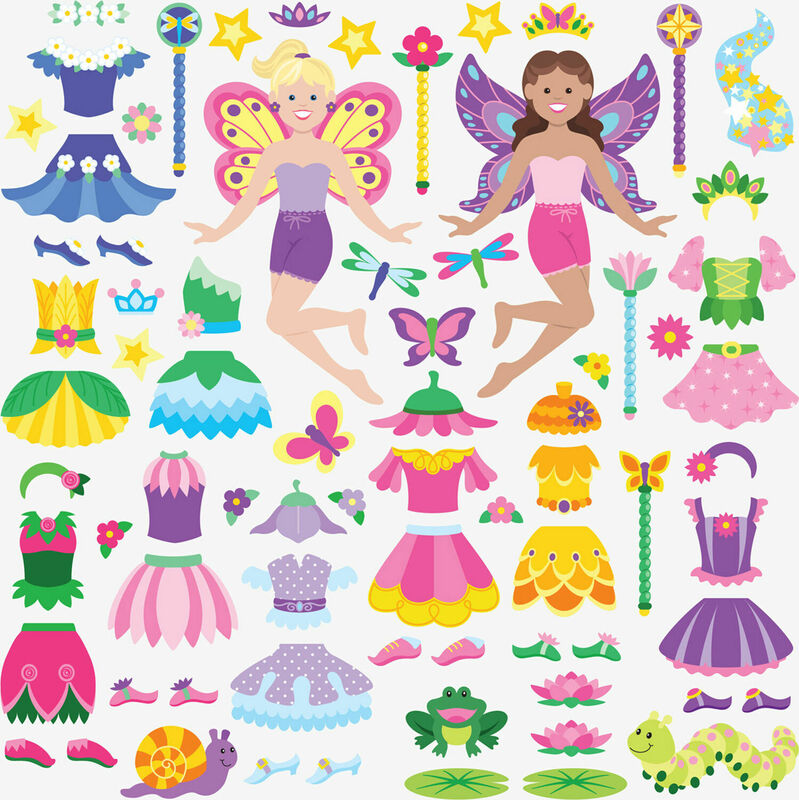 Let imagination take flight with two sensational sticker scenes! This reusable puffy sticker set includes a sturdy double-sided background panel, plus 75 glitter-filled puffy stickers. 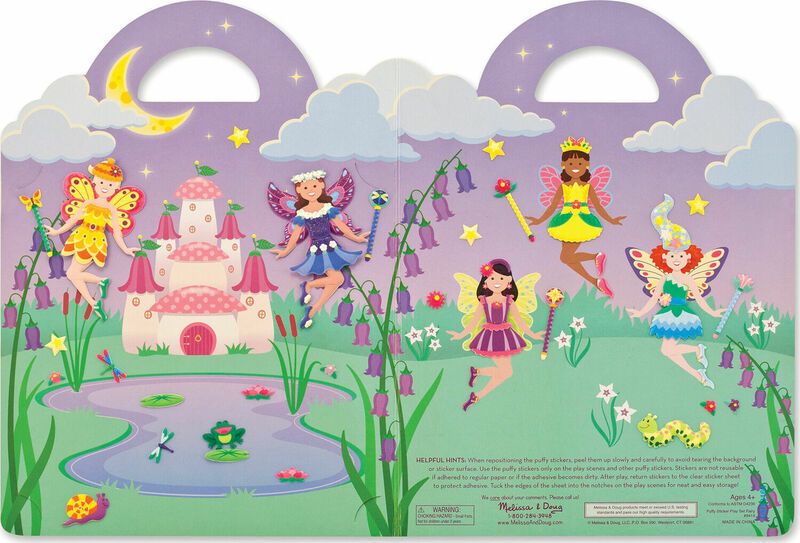 Use the stickers to fill a sun-drenched meadow or twilight fairy-castle garden, adding butterflies and other fairy friends. 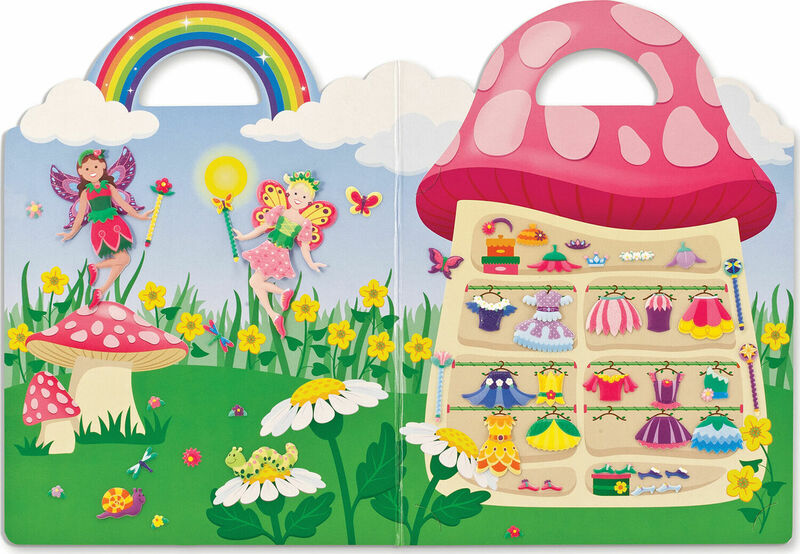 Or dress five fairies in an array of mix-and-match tops, skirts, wands, shoes, and crowns to add some stylish fun! 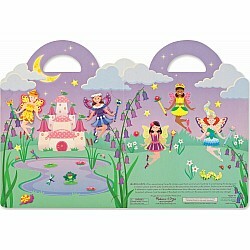 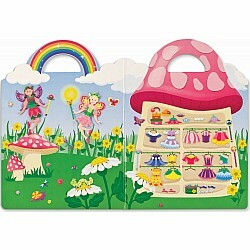 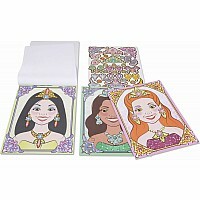 Easy to place, layer, and re-position, the reusable stickers make it easy to tell a story of fairy enchantment. 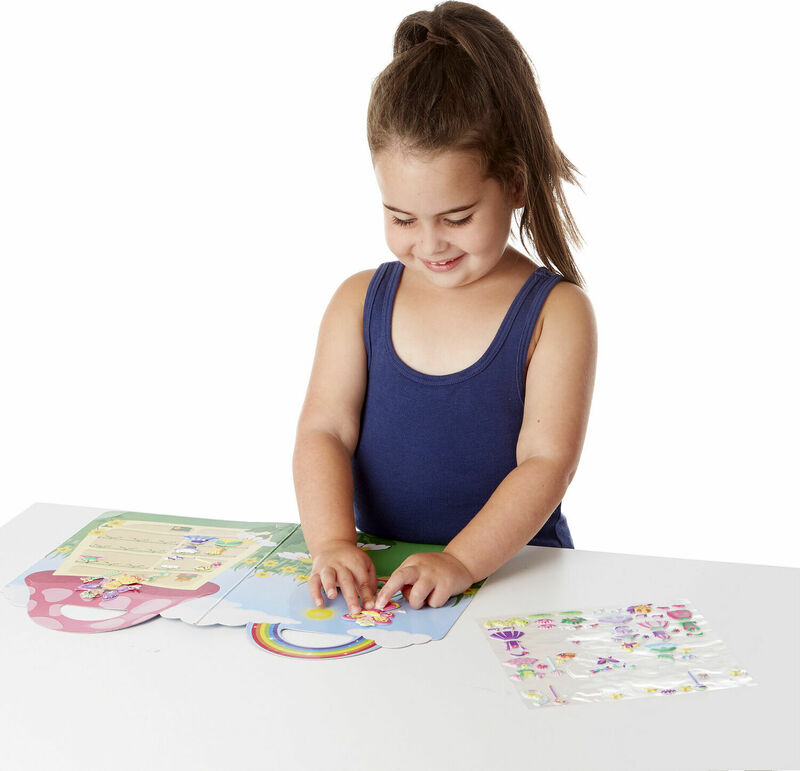 Simply place the puffy stickers on the board, then change the picture whenever you're ready to change the story! 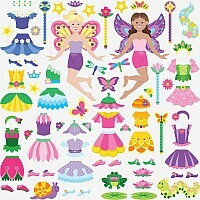 The built-in sticker collection-75 fairy stickers in all-offers endless opportunities for kids to express their creativity, all while improving fine motor skills and communication. 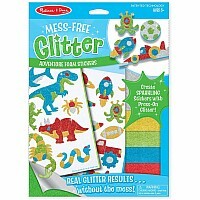 A diecut handle and fold-and-go format make this kids' sticker activity set great for travel, too!